The institution statistics for users for an institution do not show the correct data but rather the site URL and only user IDs (see attached). 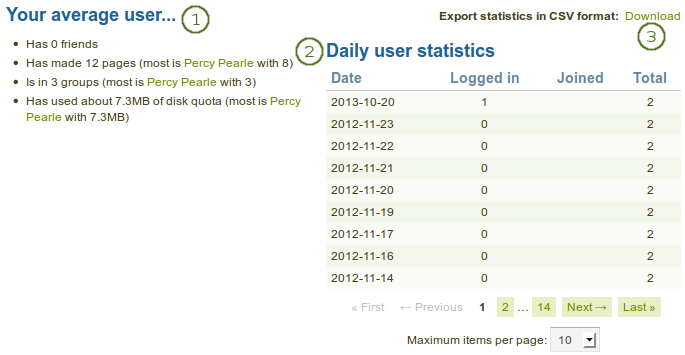 The site statistics are displayed correctly. This regression bug was introduced in patch https://reviews.mahara.org/#/c/3389/, which updated some of the stats lang strings to be properly pluralizable (on the "Has X friends" part of the string). The problem was that when writing & code-reviewing the patch, we didn't search the code base to make sure that it modified *every* place in the code where the strings were used.